My baby is growing... womp womp womp! 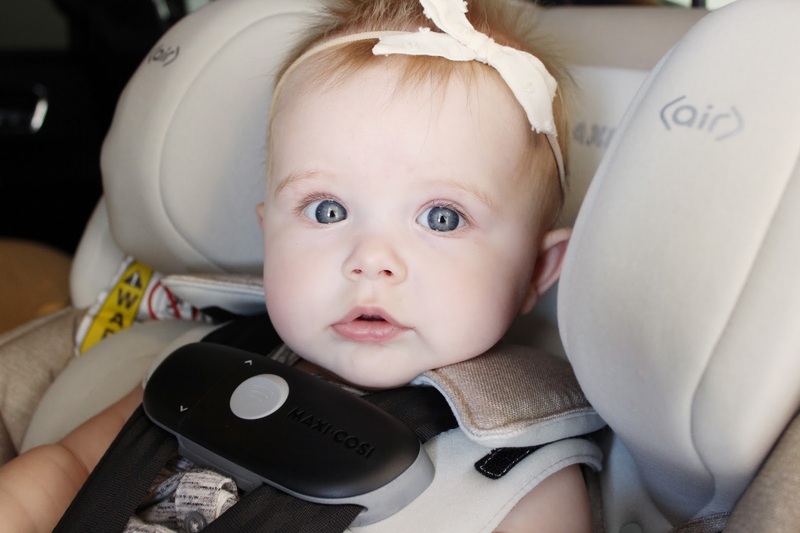 We just upgraded her to a convertible car seat with our beloved Maxi-Cosi Pria 85. 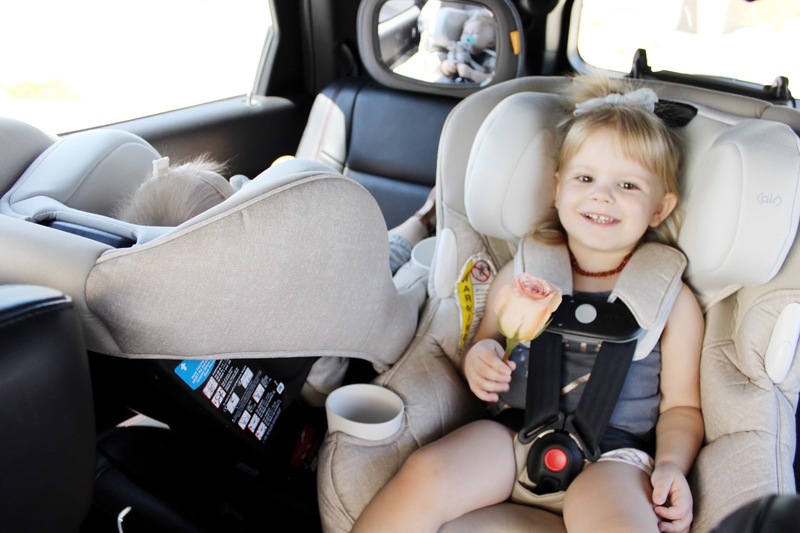 We have used this brand exclusively for both girls because they're safe, durable, beautiful and machine washable. I love when brands think of lifestyle when creating product so they're a perfect marriage of stylish while also being functional. 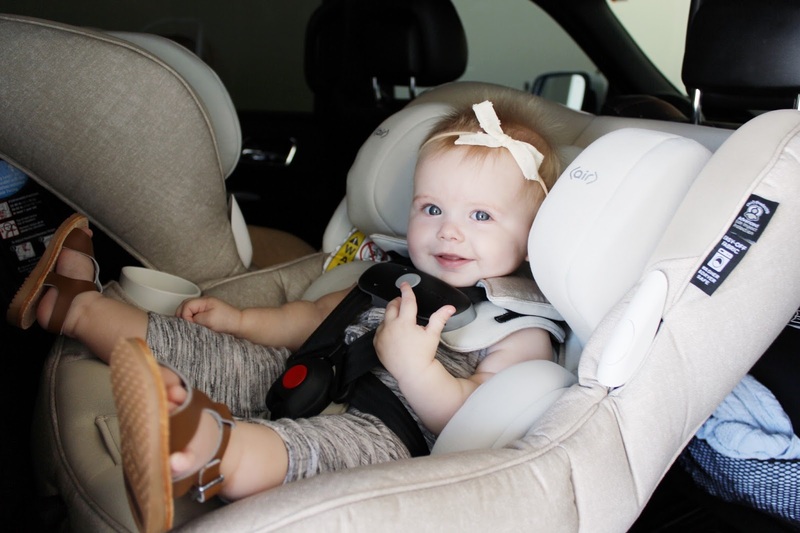 I opted to get both the girls new car seats because Emery deals with car sickness and rotating seats when that happens is a nice luxury. We've always done black and while I love the simple, clean look that gives I went a bit out of my comfort zone and chose this beautiful sand color. Even having these the last few weeks, the girls have spilled milk and iced tea and each were washed and cleaned up perfectly! I seriously love that about these babies. 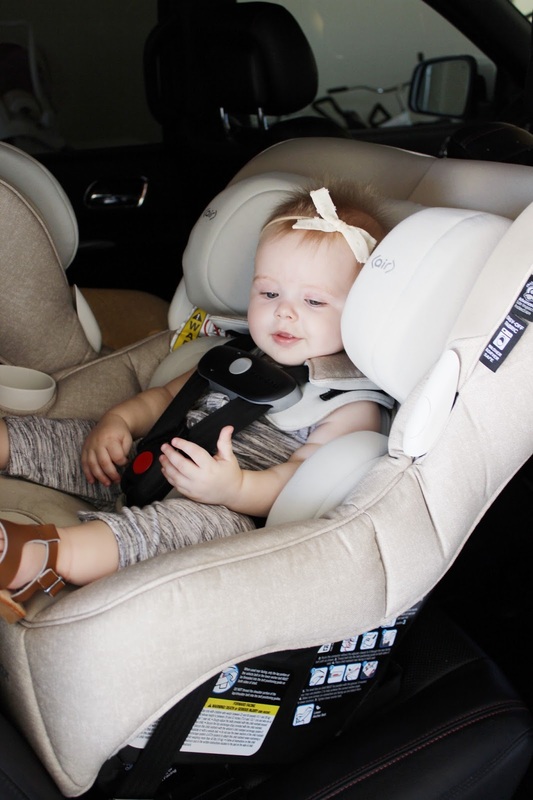 As Emery has grown, she's become well beyond Miss Independent yet could never buckle herself but the Nomad Collection features a ClipQuik chest clip basically meaning it's magnetic and snaps easily and she's able to get herself buckled in now- her dream come true!